This quaint New England Farmhouse was originally built in 1850, but years of renovations and upkeep had dulled the building's original flair. The owners wanted to bring the house back to its old-fashioned glory, so they started fresh with an entirely new design. Although much of the home was scrapped, the owners were careful to salvage as much of the original building as possible. The owners did research to make sure the new design fit the style of a home built in the 19th century. Now that the house is completed, it truly is a sight to behold. 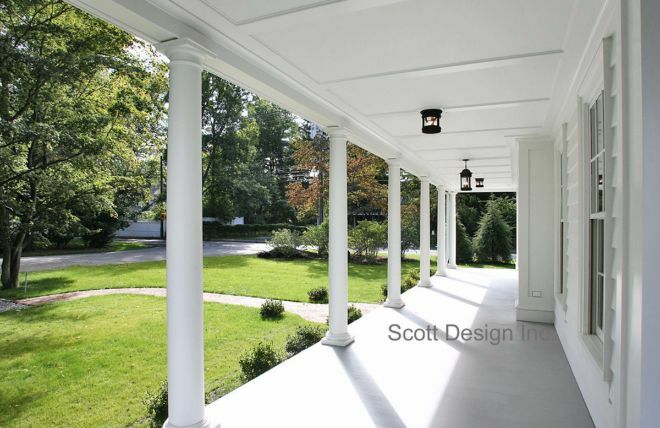 The natural place to begin admiring the home's beauty is outside, where the Greek Revival's wraparound porch beautifully wraps around the length of the building. 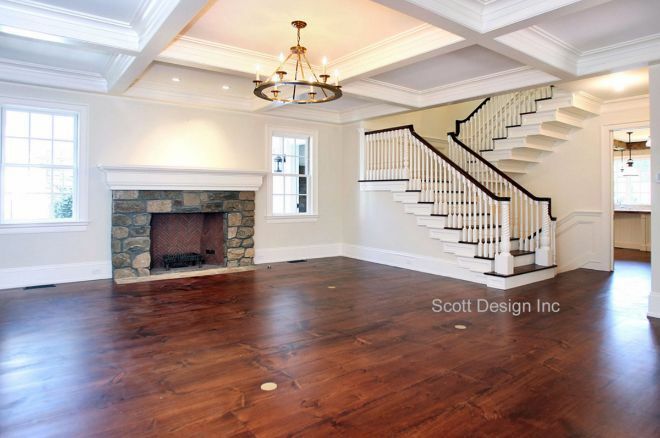 Most homes feature the main staircase near the front entrance, but this New England Farmhouse is unique -- the staircase is located near the rear of the house in the main living room. The dining room is clean and timeless. 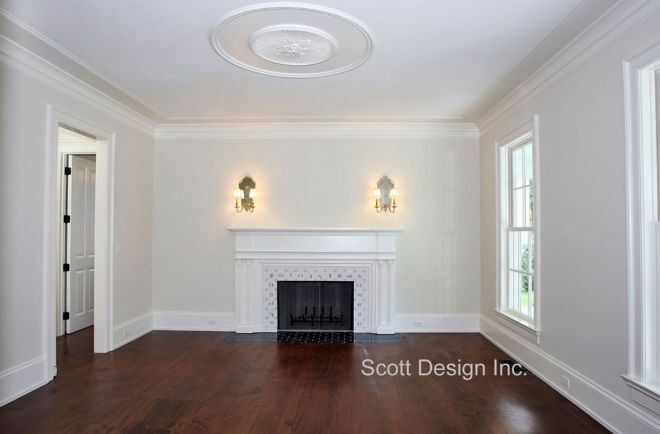 The square windows, doorways, and fireplace are contrasted perfectly by the round medallion on the ceiling. 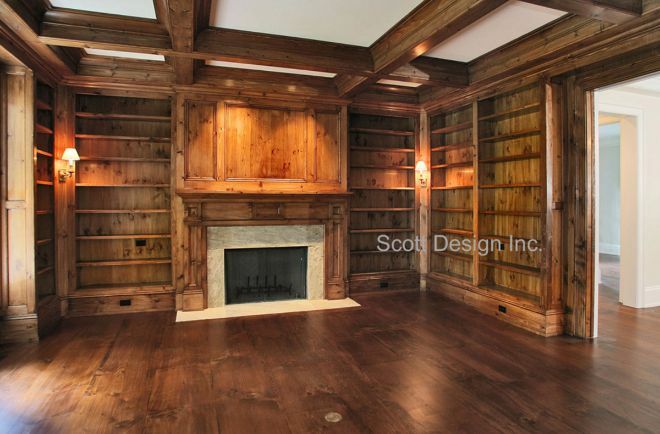 According to the home's Houzz page, much of the wood from the library was sourced locally, just as it would have been when it was originally constructed in 1850. 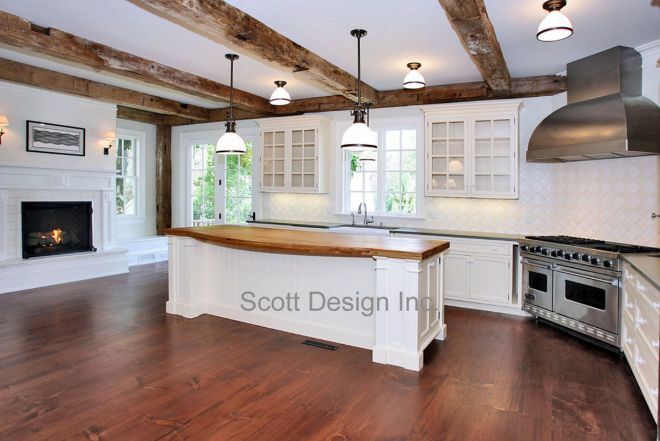 The antique support beams in the kitchen were sourced from a nearby barn that was built in the 1800s. The room gives ample space to prepare meals, and it even has a fireplace. 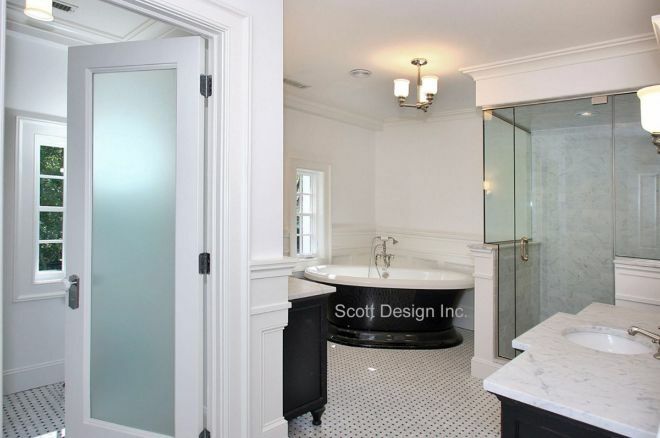 The bathroom, with its traditional black and white color scheme, gives users the option of using the standalone bathtub or the walk-in shower. Marble countertops help give the room a timeless beauty. Bricks from the home's original 1850 chimney were used to pave the walkway. Obviously, there were no cars in the 1800s, so the main house features no drive-in garage -- but an external garage has been built. 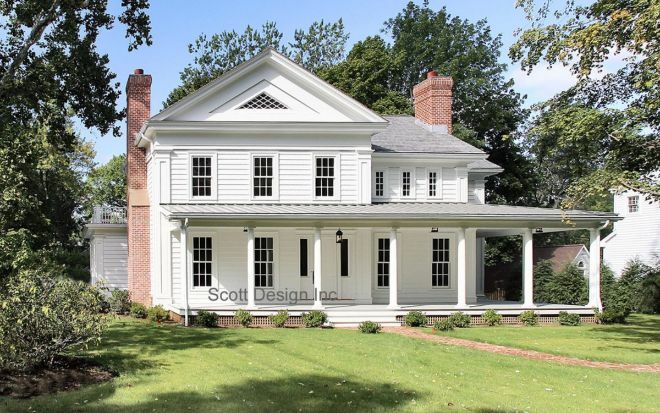 More photos of this amazing traditional Farmhouse can be found on its Houzz page. 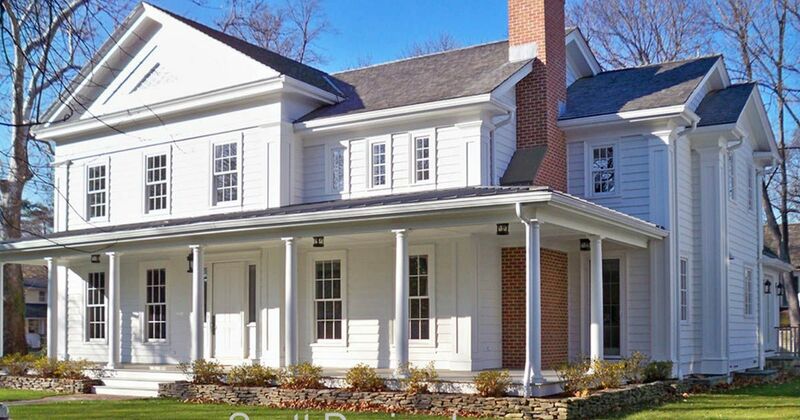 If you loved this classic New England Farmhouse as much as we did, make sure to share it with your friends on Facebook!